“Children worldwide are living in extreme poverty, witnessing horrific violence and suffering the long-term impact of deprivations. Without our support, these children are at heightened risk of exposure to trauma and exploitation. Relay for Kids gives us the chance to make a difference in the lives of these children. Together we can raise awareness about children in crisis and give them the chance to enjoy the safe and healthy childhood they deserve.” -Lynn Croneberger, CEO of SOS Children’s Villages – USA. One of the most heartwarming afternoons during my two-week trip to Ethiopia as a fellow for the International Reporting Project (IRP) last June was spent visiting a SOS Children’s Village. SOS Children is an independent, non-governmental international development organization that provides loving homes for abandoned and orphaned children in 133 countries for almost 82,100 children. It was founded in 1949 by Austrian Hermann Gmeiner with the first SOS Children’s Village built in Imst, Austria as a home for children orphaned by World War II. Our group of ten fellows spent the entire afternoon at SOS Children in Ethiopia and it was one of the best memories of my trip. What I liked the best about their program is their model of providing each child with a loving, caring family that will raise them and help them succeed. 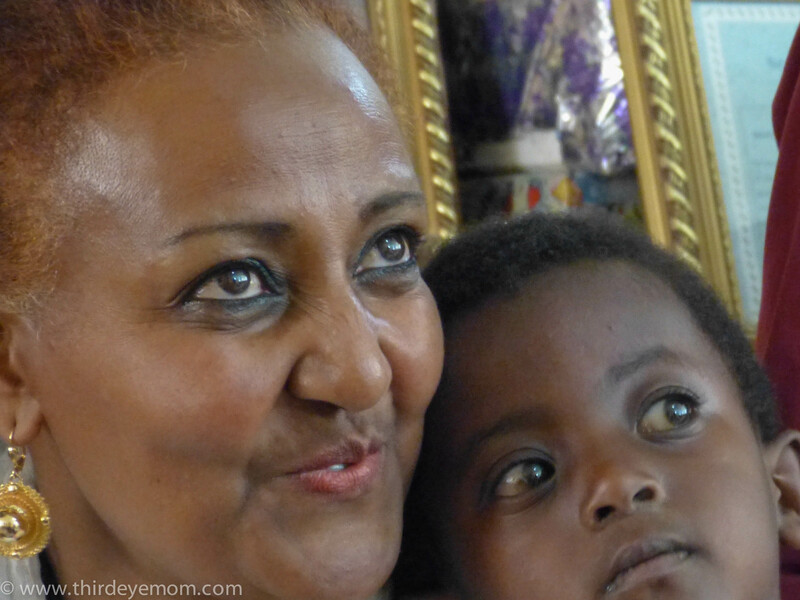 I wrote extensively about my visit in my post “SOS Children: Providing Ethiopia’s orphans the home they need”. (To read post, click here). Genet’s five year old daughter stole the show during our meeting and had to try all our equipment. From March 23 through April 24th, SOS Children’s Villages has partnered with Johnson & Johnson, and the Huffington Post’s Global Motherhood on a campaign called #Relay4Kids that will help provide shelter, food and medical care to children in crisis. During the campaign, child advocates from around the world will work together to raise awareness and funds by posting and sharing stories on the Huffington Post as part of Relay For Kids, a month-long virtual relay with a potential to raise up to $30,000 to help improve the lives of children living in crises. Mihirat with her twins. She has extra help during the night to help care for the twins and her 8 children. Oftentimes I become so incredibly focused in my global advocacy work that I forget that several awful things happen right under my nose here in the United States. Recently the media has gone into high speed telling stories igniting fierce protests across the nation about recent police brutality and racism. However, one story that has not received as much attention by the media is the sickening and increasing level of young girls in our nation who are getting trapped into prostitution. Turned out by a pimp at 13, Lisa only knows one life. The heroin that makes her forget and the tricks she turns to #survive. One photographer and filmmaker Tim Matsui wanted to change this and show the world that this issue is important and that something needs to be done. Working in Seattle, together with the King County Sheriff’s Department, victims of prostitution and their parents, The Long Night is a harrowing tale of pimps, teenage girl prostitutes, the law enforcement team working to help them and their parents trying to save them. It is a difficult hour to watch but also a highly moving piece that truly helps one understand a tough subject matter. Last week Global Impact, a leader in global philanthropy, launched the Women & Girls Fund in partnership with four of the best-in-the-business charities to help improve the lives of women and girls around the world. The Women & Girls Fund is unique in that it harnesses together four of the most respected charities in the field, CARE, World Vision, Plan and International Center for Research on Women (ICRW), to help change the world by investing in women and girls. The plight of women and girls around the world is heartbreaking. 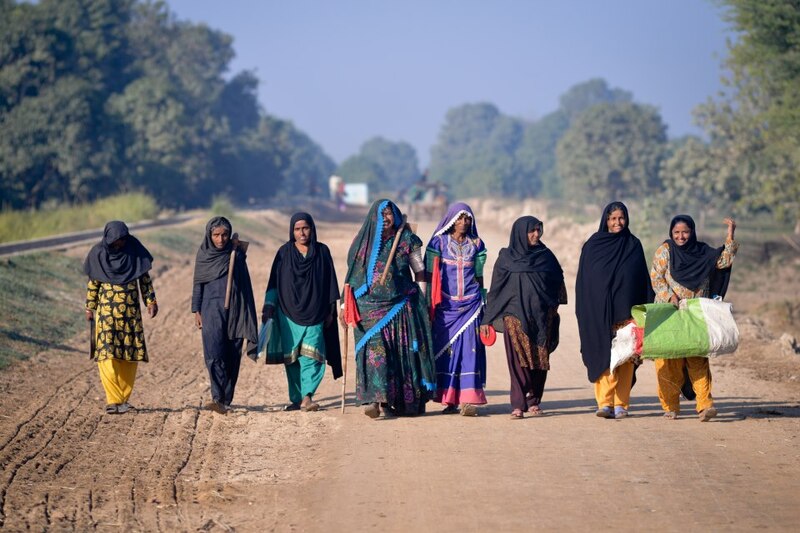 Of roughly one billion people in the world who live in extreme poverty, the majority of them are women. I have written tirelessly about the struggles of women and girls because it is a cause I am truly passionate about. For the past year and a half I’ve been honored to be a part of an exceptional group of women bloggers using our voices on our blogs and through social media to help try to change the world. As a proud member of the Global Team of 200 and Mom Bloggers for Social Good, I’ve had the opportunity to learn about and share with you some of the amazing things different non-profits are doing around the world to save lives and end poverty. Jennifer James, founder of our social good team, has worked particularly hard with The Bill & Melinda Gates Foundation. It has been fascinating to be a part of some of the work this amazing foundation is doing at changing the world and saving lives. Yesterday, The Bill & Melinda Gates Foundation released their co-authored 2014 annual report which contains some exciting findings and predictions in the world of social good. This year’s letter, “Three Myths that Block Progress for the Poor,” addresses three misconceptions about the global effort to end extreme poverty: Poor countries are doomed to stay poor, foreign aid is a big waste, and saving lives leads to overpopulation. In fact, life is better for more people around the world than it has ever been. People are living longer, healthier lives and poverty rates have been cut in half in the last 25 years. Child mortality is plunging. Many nations that were aid recipients are now self-sufficient. Bill and Melinda want to tackle these myths because too often they give people a reason not to act. Today’s post is a guest post written by a dear friend of mine Elizabeth Ataley of the beautiful blog Documama. I met Elizabeth a few years ago at BlogHer and we have worked together ever since as fellow members of Mom Bloggers for Social Good, the Global Team of 200 and ONE Moms. Elizabeth recently went on a social good blogging trip as part of Global Team of 200 to South Africa along with Jennifer James, Founder of Social Good Moms/Global Team of 200. Here is her report on their visit to Rebecca’s Well in Alexandra Township, South Africa. The shift was drastic. One second we were driving through what looked like typical city sprawl, passing industrial yards, a McDonald’s, and the next moment rubble heaps, and rusted corrugated tin sheds pulsing with people lined the sidewalk. It was as though we passed through some sort of invisible wall into a different reality. The reality that the people of Alexandra Township, which we had just entered, live in is light years away from the gleaming luxury hotels and shopping malls that rise up on the horizon just a few miles away in Sandton which is known to be one of the wealthiest areas in South Africa. Jennifer James and I were headed on our first site visit for our #socialgoodmomsjoburg Global Team of 200 trip to Johannesburg, South Africa, and the impact it had on us would be huge. One area of development that is near and dear to my heart is child survival. As a mother of two children and a world traveler, I’ve seen firsthand the poverty and pain that many mothers around the world face by protecting their children and giving them everything they can to help them survive. Often when I work with these children and their mothers, and I learn more about some of the devastating obstacles that stand in the way to raising a healthy, happy child, my heart gets broken. You see, my children were born in the United States to two educated parents who have the ability to ensure they receive good nutrition, safe drinking water and proper sanitation, education, immunizations and health care. Sometimes I scratch my head in disbelief realizing how lucky we are to live in a place where we take these fundamental rights for granted. Children at a day care center in Honduras where I volunteered last January. Lovely Nepali girls smile at the camera. Children in a Delhi slum are able to attend school thanks to the support of NGOs like Pratham. I believe strongly that it is our moral obligation to ensure other people around the world have the same opportunities at a healthy life as we do. Yes, the task is incredibly daunting and immense. But we can change things. Save the Children’s “Get Ready. Get Safe”. In honor of remembering one of the greatest tragedies to hit our country, September 11th, it is important for us as a country to protect some of the most vulnerable citizens of all: Our children. Please read the post below and learn more on what we as a nation can do to ensure that no children are forgotten in times of tragedy. Also, please share on Facebook and twitter with your friends and family. This is something we can all work together to easily change. Last week Save the Children released their 2013 National Report Card on Protecting Children in Disasters, a study showing where our nation is at when it comes to protecting children in times of emergencies. The report titled “Unaccounted For: A National Report Card on Protecting Children in Disasters” comes after a heartbreaking year of disasters and tragedies such as the elementary school massacre at Sandy Hook as well as the Hurricane Sandy and Oklahoma tornado. Unfortunately, the report clearly demonstrates that we have a long way to go in protecting our children against disaster. Out of the four standards that states must implement to protect children in the face of disaster – (1)states must require all schools and child care centers to have an evacuation and (2) relocation plan, (3) a family reunification plan and (4) a plan for children with special needs – only four states took action to meet all standards this year. Furthermore, 28 states still lack basic measures to safeguard children in child care and schools. It is apparent that something needs to be done. The end of summer means back to school for millions of children around the world. Tomorrow my two children will be starting school and as a parent it is in my uttermost interest to ensure they are healthy and ready to learn. We all understand that education is critical to improving our lives and future. Yet tragically education is not an equal opportunity for millions of children around the world. Per Education Envoy, an estimated 61 million children are shut out of primary school, an astounding number. Over the past ten days, Jennifer James, founder of Mom Bloggers for Social Good and Global Team of 200, has been in Zambia as an International Press Reporting fellow covering HIV/AIDS, tuberculosis and malaria and how these diseases impact mothers and children. She was selected to report in Zambia along with nine other new media journalists, who have all covered these topics from different perspectives. It has been amazing reading all the stories about their work and learning more about the conditions in Zambia. One of the places that Jennifer and the fellows visited that I found truly inspiring was the Fountain of Hope center in Lusaka, Zambia. The Fountain of Hope was founded in 1996 by a group of local Zambians as a way to help rehabilitate the growing population of street children in Zambia’s capital. In a country of 14 million, it has been estimated that there are 75,000 street children throughout the country and 2,000 alone in the nation’s capital Lusaka. Oftentimes these children spend their days on the streets, not going to school and doing whatever they can to feed themselves and stay alive. Fountain of Hope Center (Photo thanks to Jennifer James). Close your eyes for a minute and picture Madagascar. What do you see? I see miles upon miles of pristine beaches, lush green tropical forests, exotic flora and fauna and brilliant blue sea. Madagascar, an island nation of 22 million people off the southeastern coast of Africa is home to several exotic species, 90% of which are unique to the country. Because of its isolation from other landmasses, most of Madagascar’s mammals, half its birds, and the majority of its plants exist nowhere else on earth. This former French colony who gained their independence in 1960 is also home to a lesser, more ugly reality: Poverty. 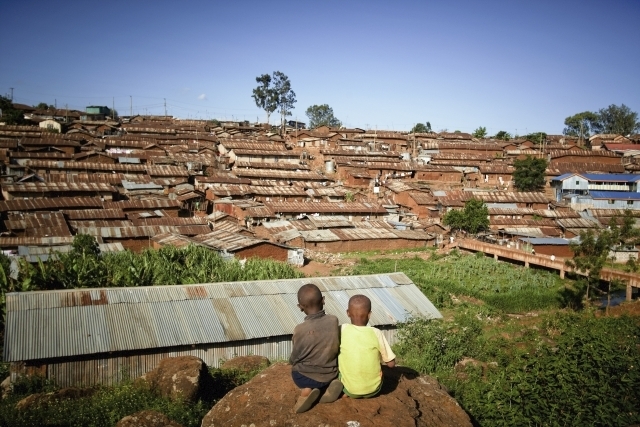 According to the World Bank, 69% of the population of Madagascar lives below the national poverty line threshold of one dollar per day (2011 statistic). With poverty brings hunger, malnutrition, disease, hardship and also lack of services such as access to safe drinking water and sanitation. Although running water, electricity and sanitation are provided by the government, sadly these services do not reach all the people. Based on 2010 estimates only 34% of the rural population have access to an improved water source (World Bank). Sanitation fared worse: 79% of the urban and 88% of the rural population live with unimproved sanitation services (2010 estimates from the CIA World Factbook). Not having safe drinking water or adequate sanitation is a major hurdle in receiving an education. In a country with only 64.5% literacy rates, education is a key to lifting people out of poverty yet what child, especially a girl, would want to go to school without a toilet? Last week WaterAid launched an exciting summer campaign to help provide proper sanitation and safe drinking water to Madagascar’s children. Over the next couple of months, WaterAid aims to reach 12,000 children in 31 schools by providing 150 taps and 100 toilets in Madagascar. What is so wonderful about this campaign is that all summer long you can follow the stories and updates of the children who will be impacted as well as the progress of the construction through the celebration on September 19th when the children return to school with taps and toilets for the very first time. Over the next few weeks you can follow the story as children in Madagascar get the water and sanitation they need to keep them healthy enough to build their dreams. Behind the beautiful, lavish parts of Delhi always lies the most abject poverty imaginable. I have read several books on the slums of India and thought I’d know what to expect when I saw them in person. Yet nothing I’d ever seen in all my years of travel could have prepared me for the stark reality of desperation, misery and despair of walking through a real live slum in the heart of India’s capital.